Four police and crime commissioners from Norfolk, Suffolk, Cambridgeshire and Lincolnshire have signed a rural crime agreement as they look to tackle the issue head-on. Signed at a rural crime summit organised by Lorne Green, the commissioner for Norfolk, its aim is to work across county borders to tackle rural crime. Mr Green said: “People here in Norfolk told me about their crime and policing concerns and what they felt they needed from the police to feel safer living or working in their local area. 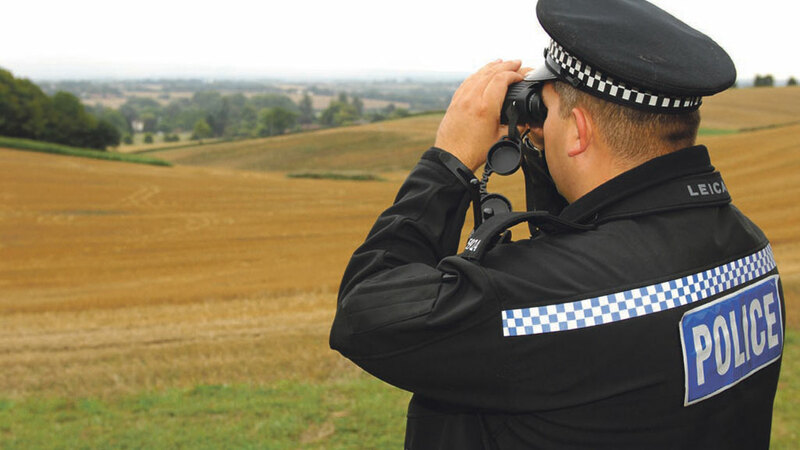 Lincolnshire police have a track record of working with neighbouring forces on rural crime. ‘Operation Galileo’ was set up in conjunction with the NFU to deal with the problem of hare coursing across Lincolnshire and the other counties which border it. Gordon Corner, NFU county adviser for Lincolnshire, arranged a series of meetings with police and crime commissioner Marc Jones, who agreed to begin confiscating the dogs involved in hare coursing. They can be worth up to £30,000, so are a big loss to their owners. A WhatsApp group was set up for affected farmers to share information about hare coursing events and photographs of offenders’ cars with each other and the police. A separate text message police helpline, half-funded by the NFU, was also created for farmers to use when they had details of offences. The new measures have seen a 170 per cent increase in arrests and reports for summons. Police are investigating reports that more than 300 sheep have been stolen from common grazings across the Eppynt Ranges in Mid Wales over the past few months. The losses have emerged as farmers gathered flocks in readiness for tupping. Police Scotland has launched a month-long campaign to raise awareness among dog owners about the devastating effects of livestock worrying. It coincides with a rise in dog attacks on livestock during November at a time when sheep are brought down to low lying pasture in areas more accessible by people exercising their dogs or by local dogs which are allowed to roam free.